Mobile operators are ready to challenge a Delhi High Court order in Supreme Court over compensating consumers for call drops, but are taking a cautious approach to first double-check the legal grounds since there are huge stakes involved for the debt-laden industry. Executives at three top telcos told ET that the view is to challenge the Delhi High Court’s Monday ruling which upheld the sector regulator’s rules set last October which mandate carriers to compensate consumers Rs 1 for every call dropped on their networks, subject to a cap of three a day, starting January 1, 2016. “Our members are unanimous as of now in seeking to review the Delhi HC order closely to determine if, and what the legal grounds are for any possible appeal to the Supreme Court, and we expect to take a decision in the next two or three days,” Rajan Mathews, Director General of Cellular Operators Association of India (COAI) told ET. COAI represents mobile phone operators such as Bharti Airtel, Vodafone India, Idea Cellular, Telenor and newcomer Reliance Jio Infocomm. 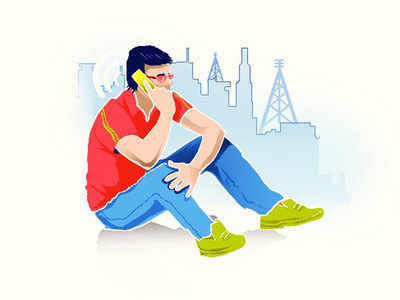 If telcos agree to comply with Telecom Regulatory Authority of India’s (Trai) regulation, their collective monthly payouts towards compensation for call drops could range between Rs 830 crore and a massive Rs 4,500 crore based on consumer usage patterns, according to industry estimates. This, however, is much higher than the Rs 200 crore per quarter industry payout estimated by Trai. The COAI members, Mathews said, are currently reviewing these issues with a senior counsel on framing the appeal in the Supreme Court, especially “since appeals to the apex court are limited to review of any flaws in application and interpretation of law and lapses in legal procedure”. Ashok Sud, secretary general of Auspi, in turn, said its members will be meeting the rest of the industry on Wednesday to chalk out the next course of action. Industry lobby body Auspi represents pure CDMA players such as Sistema Shyam Teleservices and dual-technology carriers like Reliance Communications and Tata Teleservices. Auspi members are also likely to join hands with COAI, say people familiar with the matter. Monday’s Delhi HC order was in response to several pleas challenging the Trai’s October 16 regulation that directed mobile carriers to compensate customers for call drops. The Trai regulation had come amid growing public anger against the call drops menace. Telecom service providers need to step up investment in tele-towers and the like, even as they pursue litigation over call drops. In areas of highdensity telecom traffic such as high-rise buildings, boosters can help improve signal quality at low marginal costs. The lack of sufficient radio spectrum is indeed an issue that needs to be addressed. But operators can actually increase spectral efficiency by providing better supportive infrastructure. Doing otherwise would be wholly unwarranted. It makes absolutely no sense to cut one’s nose to spite one’s face.